Rafale makes it to front page this morning following The Hindu’s report Monday that indicated the Modi government had dropped certain anti-corruption clauses in the aircraft deal with France. 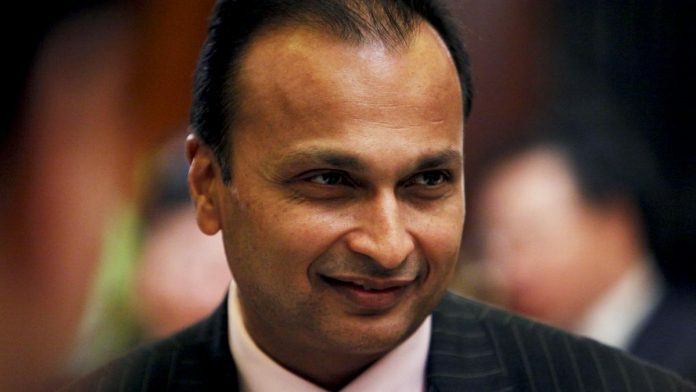 The Indian Express fuels more concerns regarding the deal with “Two weeks before Rafale announcement, Anil Ambani met French Defence officials’. “Ambani visited the French Defence Minister’s office, (when) it was known that Prime Minister Modi would make an official visit to France from April 9-11, 2015.” The French defence minister’s advisor called the meeting “‘confidential and planned as you can imagine with very short notice,’” it writes. Elsewhere, newspapers splinter the narrative. The Times of India headlines, “Rafale deal: Govt defends waiver of integrity clause,” but squeezes it into a small box, making it easy to miss. Hindustan Times substantiates this in ‘Integrity clause often given a miss’ (page 10). The Hindu highlights the flipside of TOI’s lead: “Opposition hits out at govt. over Rafale.” It simply strings together opposition parties’ reactions to its Monday report. HT’s front page flap flags the CAG report on the deal will tabled this morning in Parliament: “HT has learnt that the report may have side-stepped the controversial offset aspect of the Rafale deal” that refers to Reliance’s role. “The final audit report on offset deals may come after the elections,” it quotes a government official. IE and TOI give space to famous artiste Bhupen Hazarika’s son Tez and his sharp criticism of the “painfully unpopular” Citizenship Amendment Bill. TV news reported Tuesday that he may refuse his father’s Bharat Ratna. Meanwhile, “Tez said he had got no invite yet from the government to receive the Bharat Ratna,” reports TOI. For all the excitement she caused in the media Monday, Priyanka Gandhi Vadra is reduced to a photo op with captions of her “on the road” (IE) across other front pages. Only HT gives her roadshow a page 1 report — The Hindu drops her entirely. It quotes a report by chief economist, HSBC ,that a “recovery in ‘informality’ in the economy.” SBI’s chief economist has a different viewpoint: cash in the system tends to increase around poll time. Some thoughtful and provocative opinion pieces in today’s papers. Corruption may be hard to find but “…the evidence of unforgivable incompetence is everywhere,” he concludes. One reason for his move was the “non-release of a survey report” by the National Sample Survey Organisation. Its report on unemployment, leaked to Business Standard, revealed a 45-year low in employment figures. “The withholding of the data report has raised fundamental questions on the independence of statistical agencies,” writes the author. “The report would have contributed to our understanding of the economic and social transformation … This opportunity is now delayed,” he writes. The Lucknow roadshow, starring Priyanka Gandhi Vadra, Rahul Gandhi and Jyotiraditya Scindia was the main feature on TV Monday. Alongside, Andhra Pradesh chief minister Chandrababu Naidu’s day-long fast in the national capital had become a photo op for opposition unity. Times Now anchor Athar Khan highlighted the cost of Naidu’s ‘special status’ protest: Rs 1.2 crore was reportedly spent on ferrying protesters to Delhi and another Rs 60 lakh for accommodation. Mostly, however, Priyanka was the object of attention. On ET Now, anchor Taneia Bhardwaj questioned the importance of Priyanka in the forthcoming Lok Sabha elections. On India TV, Bharatiya Janata Party (BJP) spokesperson Sambit Patra made a sly reference to Mamata Banejree during the debate “Kurukshetra on Priyanka Gandhi’s roadshow in Lucknow”. “Congress roadshow in a BJP-ruled state exhibits that our party is the protector of democracy,” he said. Banerjee has consistently obstructed BJP rallies in Bengal. Aaj Tak’s Anjana Om Kashyap held her debate in Lucknow.